Subject: Antique Master Print, titled: 'C. R. A. van Bommel.' 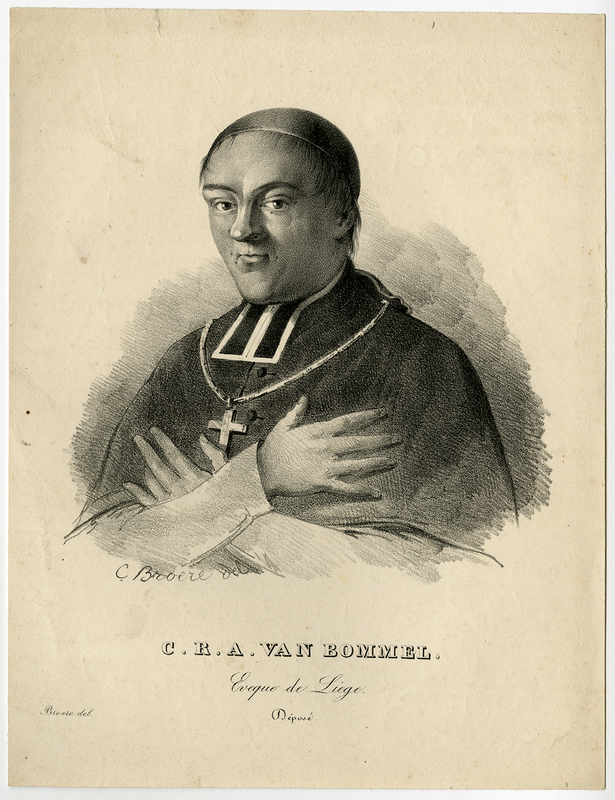 - Portrait of C. R. A. van Bommel, bishop of Liege. Condition: Very good, given age. Ample margins, minimally soiled. A small (closed) tear in the top margin. General age-related toning and/or occasional minor defects from handling. Please study scan carefully. Size (in cm): The overall size is ca. 22.2 x 29 cm. The image size is ca. 22.2 x 29 cm. Size (in inch): The overall size is ca. 8.7 x 11.4 inch. The image size is ca. 8.7 x 11.4 inch. Artists and Engravers: Made by 'Cornelis Broere' after own design. Cornelis Broere (1803-1860) was a theologist and amateur artist.